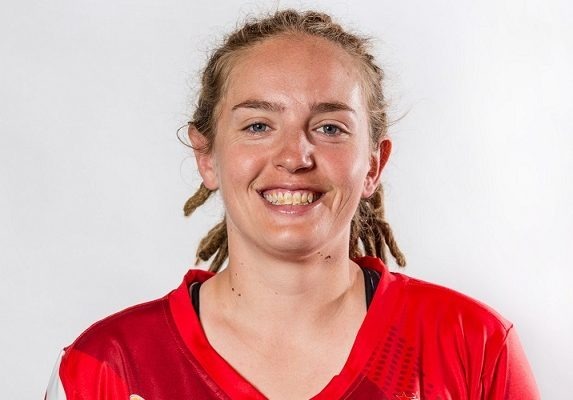 For the second week of our Player Insights, with the Burger King Super Smash quickly approaching, this week we are talking to our Canterbury Magicians Captain, Frances Mackay about her thoughts on the upcoming season. Frankie debuted for Canterbury on the 4th of January 2008, and with 46 international caps under her belt, Frankie brings a lot of experience as well as skill to the side. With a fairly young squad this year for the Magicians T20 campaign, Frankie is just the right person to be at the helm guiding the team. Biggest comedian in the squad? 2012/13 season when we played a final against Auckland, in Auckland, and they had a massive crowd. For those who have played at Melville park, it’s almost set down in a wee bowl, so you have crowds sitting up in the banks, and it makes it feel like there are thousands of people there, even if there is only a couple of hundred. We were 8 down, needed 2 to win off 2 balls… lost another wicket, and needed 2 runs off the last ball. Number 11 walks out and smokes it for four. It was just one of those moments where everyone sprints on the field and goes crazy. Janet Brown ran out in her jandals and got stood on by someone still in their spikes and was bleeding everywhere. It is one of those memories that people still say, “remember that time”. You don’t often win those ones, and to do it in Auckland in a final. That is my most memorable moment. What does your off-season look like? It’s been a little bit different, we didn’t start till August, so we had two months of skill training, mainly out at Lincoln, and a couple at the Horticultural centre working on diving technique and stuff like that, which makes the majority of it. We were also lucky enough to get into the High-Performance Centre and work with Hayden who has come onboard as our trainer and had all of the girls in the gym once or twice a week. For the first time in at least the last 10 years our whole squad has had gym access to get in together and go through age and stage tailored programmes together. It is also a good chance to surround ourselves with Olympic level athletes and that is really good for our younger girls coming through, being in an environment where the trainers are used to working with those types of athletes is great. What do you see as your biggest development points for your team at the moment? We have a nice young group, so after the Auckland round, it was a lot based around consistency and how to execute bowling plans. I think in the last couple of years we have been really focused around planning in general – making sure batsmen have game plans and they have ideas how they want to play; bowlers have different bowling types and understand the difference between what we have to do to take wickets and what we need to do to bowl dot balls. Sometimes we haven’t been consistent enough with those so just trying to build that knowledge base. Also understanding that we do have a young group and trying to get as much experience and knowledge into them now, so we can accelerate their development, so by the time they hit their 20s they are more advanced than their peers from other major associations. So, we are trying to get better with everything, but it is knowledge we are focusing on. If you can trust your plans and trust your understanding of cricket, then the physical side becomes much easier. Who do you see as your biggest competition for the 2018/19 Super Smash? At the moment it looks like Auckland and Wellington. They look like the top two alongside us. We had a nail-biter against Auckland that probably should have gone our way, but didn’t due to a bit of game mis-management which tends to happen beginning of the season, and then got rained out against Wellington so we haven’t actually had a good look at them, even at the end of last season we got rained out against them, so it has been a while since we have played against them. Those two look like the top two teams along with us at the moment, but that first weekend was played with all of the top players, and we lose Leah and Amy for the WBBL now. Wellington and Auckland both lose some players also, so our three teams are the ones that are losing the most in the competition by that, so might allow the other teams to get close. We have started well enough that we have a bit of breathing room coming into the next 5 games. There are also games on TV, at different grounds, different times of day and lots of flying, so it will also come down to which team manages that the best in terms of recovery and fitting trainings in, but yea I would be surprised if the two finalists didn’t come from those 3 teams. What is your number 1 hot tip for players trying to get better? You have to be prepared to work hard. You don’t just get better by having a training here and there, you have to put a lot of time and effort into it, but it has to be fun, because if it is not fun you just won’t do it. So, if you are wanting to improve: Ask lots of questions, seek lots of information, train the house down and enjoy it! Cheers to Frankie for her time, and best of luck to her and the rest of her Magicians squad for the upcoming Burger King Super Smash rounds. We are looking forward to seeing some great performances from the young and exciting team that our women are entering their T20 campaign with.